Watch It's The Great Pumpkin, Charlie Brown Full Movie Online Free! Good Grief! Can you believe it's been 50 years since Linus Van Pelt found the sincerest pumpkin patch in the land to await the arrival of the Great Pumpkin? Okay, so the G.P. looked an awful lot like a beagle. Nevertheless, a Halloween classic was born and lives on to this very day. 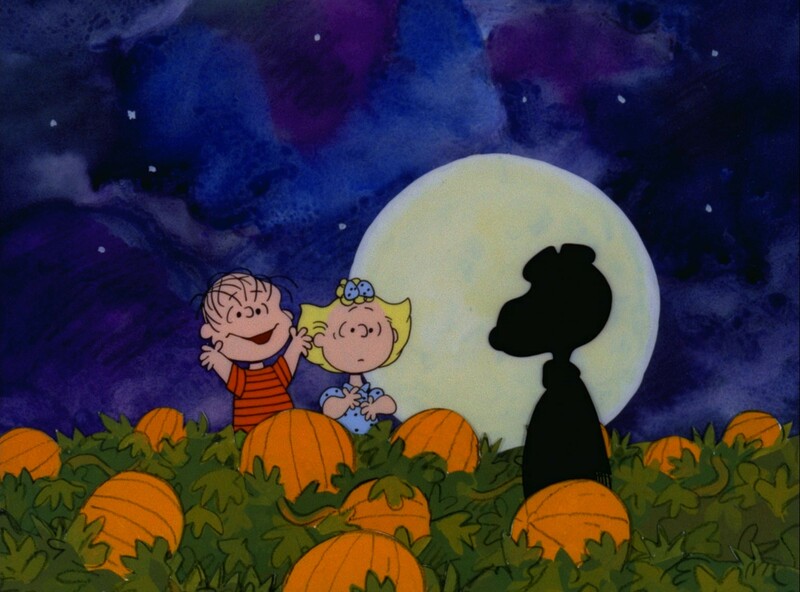 Catch Charlie Brown, Lucy, Linus, Sally, Pig-Pen and the rest of the Peanuts gang on the Charles M. Schulz classic It's the Great Pumpkin, Charlie Brown WEDNESDAY, OCTOBER 19 8|7c only on ABC! Then watch the special again the very next day online for free right here! Maybe this year Charlie Brown will get something other than a rock in It's the Great Pumpkin, Charlie Brown 2016. Then again, maybe not. SEE ABC'S FULL HALLOWEEN LINEUP! SEE FREEFORM'S 13 NIGHTS OF HALLOWEEN SCHEDULE! CHECK OUT Get ready for Halloween 2016 with some classically scary funny clips from some of your favorite ABC shows! Watch now... if you dare! Who ya gonna call on Halloween? Pops, of The Goldbergs, of course! Dre and the Family channel their inner-Jackson 5 on black-ish! Can Eddie save Halloween on Fresh Off the Boat? It's Medieval Knievel and an illegal alien on Modern Family! The ghost of Christopher Columbus comes to The Middle! Check out the full lineup of ABC fall premieres that are now playing! Below is your one-stop spot for the season and series premieres of all your favorite ABC shows. Watch new shows like Designated Survivor, Speechless, Notorious, Conviction and American Housewife for free without signing in! All of your favorite returning shows like Grey's Anatomy, Modern Family, black-ish, Marvel's Agents of S.H.I.E.L.D. and more are also here. black-ish: S3 E1 Season 3 Premiere: VIP Dre decides to take his family to Walt Disney World on a magical, first-class vacation experience. Conviction: S1 E1 Series Premiere: Pilot Hayes Morrison takes on the Conviction Integrity Unit. Dancing with the Stars: S23 E1 Season 23 Premiere: Week 1 Fall 2016 Watch the sensational two-hour premiere as a brand new cast of stars go for the coveted Mirrorball Trophy. Designated Survivor: S1 E1 Series Premiere: Pilot A low-level cabinet member becomes President of the United States. Dr. Ken: S2 E1 Season 2 Premiere: Allison's Career Move When a job opportunity opens up at Welltopia, Pat thinks Allison would be perfect for it, but Ken isn't sure. The Goldbergs: S4 E1 Season 4 Premiere: Breakfast Club The Goldberg kids are in Saturday detention after Beverly becomes a substitute teacher. Grey's Anatomy: S13 E1 Season 13 Premiere: Undo One of Grey Sloan's own lands in the hospital and the doctors jump in to help. How to Get Away with Murder: S3E1How to Get Away with Murder's Season 3 Premiere: We're Good Now With Wallace Mahoney's murder unsolved and Frank's whereabouts unknown, the "Keating 5" tries to move on. Last Man Standing: S6 E1 Season 6 Premiere: Papa Bear Mike has to find a way to get a bear out of Outdoor Man. Marvel's Agents of S.H.I.E.L.D. : S4 E1 The Ghost Coulson teams with Mack to track down Inhumans. Modern Family: S8 E1 Season 8 Premiere: A Tale of Three Cities After recent trips take the Dunphys to New York; Mitch, Cam and Lily to the Midwest; and Jay, Gloria, Manny and Joe to Mexico, the families reunite. Notorious: S1 E1 Pilot A TV producer wants the scoop on a high-profile story. Speechless: S1 E1 Series Premiere: P-I-PILOT An overprotective mom fights to protect her family. Also watch these great ABC shows!